Our Pet Fences are 100% American-Made to Ensure the Highest Quality, Reliability, and Safety for your Pet Containment Needs. We Believe these are the Best Systems Available! In addition to our published pricing, please note we offer special trade in prices on all brands of dog fences and electronic pet containment systems. We don’t require a home visit to give you a price quote. We’d rather give you the price up front and then if you prefer to meet with us in person we are more than happy to schedule that appointment. Our full price packages include all of the following services as well as sales tax. Interest Free Financing – No Application or Credit Check Required! $1,399.00 with Initial Training Session and Unlimited Free Follow-up Training & Containment Guarantees. DISCOUNTS are available to reduce the cost of our full price Pet Stop® PCC200 package…If you are interested in saving money by placing the training flags and doing the cosmetic clean-up tasks that are very easy you can take advantage of our homeowner assistance (HOA) discount. If you want to save even more you can waive the free onsite service guarantees which include, free onsite follow-up training, and the free layout change. We have a price point that fits just about everyone’s budget and needs. 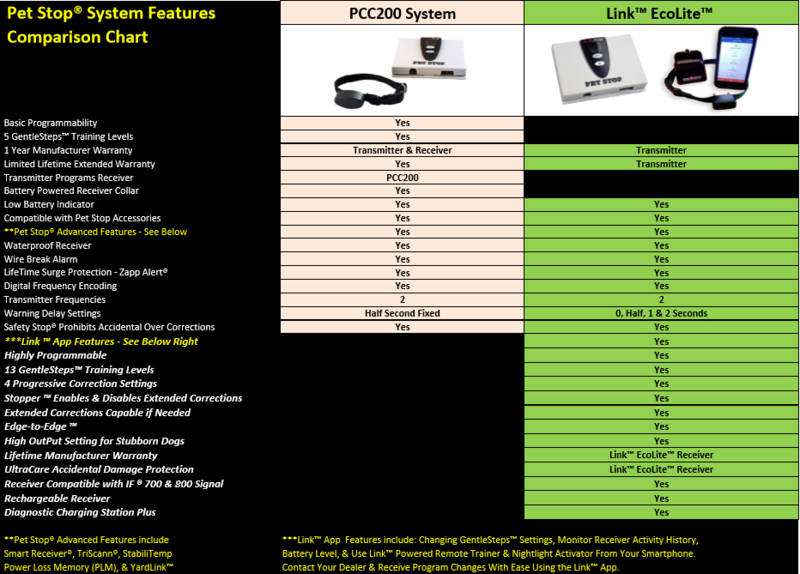 Save $99 on Pet Stop PCC200 System installation by doing homeowner assistance (HOA) tasks. Save $150 by waiving all free onsite follow-up visit guarantees. Save an additional $25 if you waive the Sprinkler Guarantee. If you would like to take advantage of these discounts in order to get a professionally installed system at the lowest price we offer, please contact us. $1,649.00 with Initial Training Session and Unlimited Free Follow-up Training & Containment Guarantees. Rechargeable Receiver with Lifetime Parts Warranty. Operates up to 3 weeks per charge! Save Hundreds of Dollars over Competitors Long Term Battery Expense! The Smallest & Lightest Professional Grade Receiver. Guaranteed to Stop the Most Stubborn Dogs! Gentle Enough for Sensitive Dogs. Link Bluetooth Connection to your Smartphone Using the Link App. Monitor Your Dogs Activity with the Boundary. Review & Adjust Settings easily from your smartphone. Receive and Upload Advanced programming from your Dealer using the Link App. Nightlight activation from your smartphone. Use the Remote Trainer included with the Link app from your smartphone. Diagnostic Charging Base for Link EcoLite receiver verifies trouble free operation. Locate a Lost Link EcoLite receiver using Link App feature. StabiliTemp – temperature extremes do not affect performance. DISCOUNTS are available to reduce the cost of our full price Pet Stop® Link™ EcoLite™ package…If you are interested in saving money by placing the training flags and doing the cosmetic clean-up tasks that are very easy you can take advantage of our homeowner assistance (HOA) discount. If you want to save even more you waive the free onsite service guarantees which include, free onsite follow-up training, and the free layout change. Save $99 on Pet Stop® Link™ EcoLite™ System installation by doing homeowner assistance (HOA) tasks. On average you will need to change the battery (2 CR1/3n cells end to end in blue shrink wrap pictured above the quarter) in the battery powered receiver collars every 6 months or twice a year. Batteries can be purchased through Hidden Fence of Minnesota for $25 per year or save $15 and buy a 3 year supply (pack of 6) for $50. This is a tremendous savings over our competitors cost for batteries that ranges from $60-$100 per year, that is an additional $600 – $1,000 expense over 10 years! If you decide to have us install a system with a battery powered receiver, Hidden Fence of Minnesota will give you the opportunity to receive 10 Free batteries (5 year supply for one dog) from us for completing a simple review of our performance on any social media site. You may also purchase them at any store that sells individual CR 1/3n batteries. Most people find it easier to purchase them from us since they come pre-assembled and ready for use. 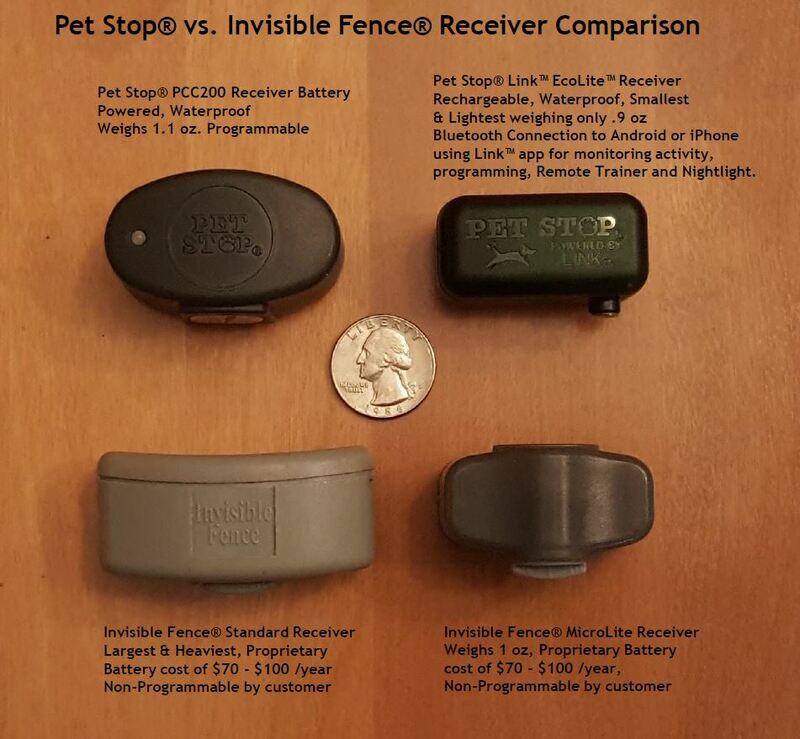 Systems by Pet Stop Pet Fence. 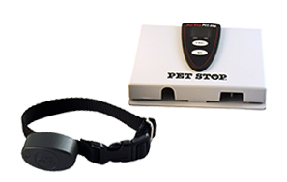 Hidden Fence of Minnesota is an authorized Pet Stop® dealer. 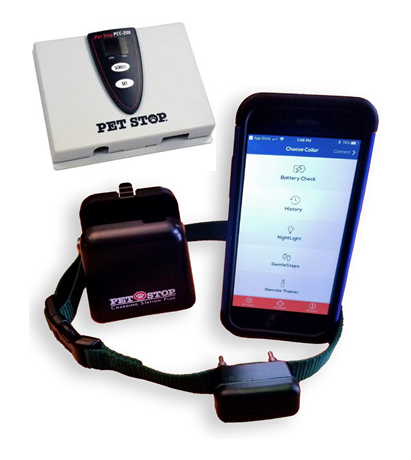 PetSafe® is a registered trademark of Radio Systems Corporation.